Two of the world’s greatest tennis players, Serena Williams and Roger Federer, will play against each other on New Year’s Day at the Mastercard Hopman Cup in 2019, with the annual mixed team event shaping up to be one of the most hotly contested in the history of the competition. Twenty-three-time Grand Slam champion Williams will make her Australian tennis return for the first time since her famous Australian Open win in 2017, when eight-weeks pregnant with baby Olympia. Williams will represent the United States alongside dynamic rising star Frances Tiafoe. Team USA face a New Year’s Day showdown against Team Switzerland, led by 20-time Grand Slam champion Roger Federer and Belinda Bencic in what promises to be one of the most exciting match ups of the new year. Germany’s Angelique Kerber, the world No.3 and three-time Grand Slam champion, and world No.5 Alexander Zverev had a great time in Perth in 2018, and will return with hopes of improving on their finals finish this year. World No.19 and the nation’s top ranked player Ashleigh Barty will team up with Perth’s own Matt Ebden to represent Australia. Two-time Grand Slam champion Garbine Muguruza and former world No.3 David Ferrer will make their debut for Spain. Greek rising stars and childhood friends, world No.15 Stefanos Tsitsipas and Maria Sakkari, will make the journey to Western Australia for the first time. Perennial favourites France join the field with 2017 Davis Cup champion Lucas Pouille and Alize Cornet, who featured in the nation’s 2014 victory. Great Britain’s Cameron Norrie and Katie Boulter round out the field for 2019. Williams returns to Western Australia for the fifth time ahead of her 18th Australian Open campaign. “I always enjoy playing in Western Australia in front of the crowd at Perth Arena. The Aussie fans are so warm and supportive and the Hopman Cup always gives me a great start to the season, especially ahead of the Australian Open,” Williams said. Twenty-year-old Tiafoe is one of the world’s most impressive Next Gen players. He won his first singles title in February to become the youngest American champion on tour since Andy Roddick in 2002 and hit a career high ranking of 38 in August. “I hear it’s extremely nice… all the top guys play and it’s a very relaxed event but pretty serious at the same time,” Tiafoe said about the Hopman Cup. “Everyone feels right at home to start the year. So I’m pretty excited for it. Barty, who has won nine career doubles titles, including her first Grand Slam doubles title at the US Open last month, will play the Mastercard Hopman Cup for the first time in six years. “I’m really excited to be back at the Hopman Cup,” Barty said. “The fans are amazing and Perth Arena is phenomenal. It’s one of my favourite courts around Australia. The fans are passionate, they love their sport, and I think it’s the perfect preparation leading into the Australian Open. Ebden, who has had his best year on tour, reaching a career high of 43 in July, added: “I’m so happy to be playing the Hopman Cup this summer. Mastercard Hopman Cup Tournament Director Paul Kilderry is pleased to welcome the world’s best back to Perth once again. “The Mastercard Hopman Cup will welcome two of the greatest tennis players in history to Western Australia in 2019,” Kilderry said. 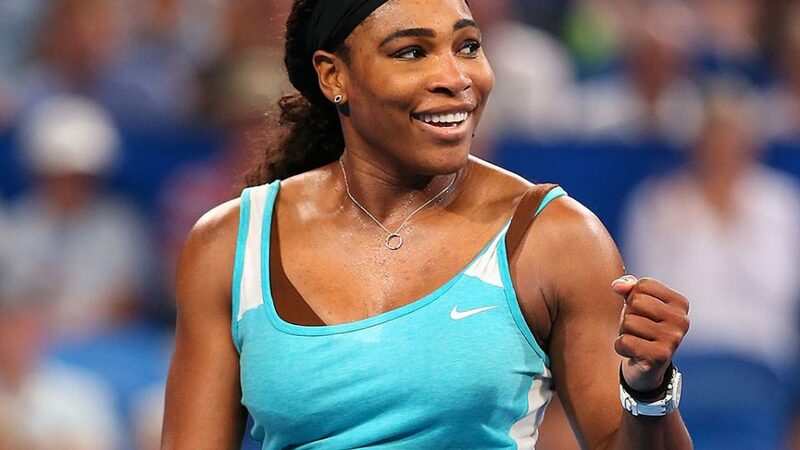 “Serena Williams will be back alongside debutant Frances Tiafoe for the United States. They join our reigning champions Roger Federer and Belinda Bencic of Switzerland. “In total we will have four Grand Slam singles champions, three top 10 players and eight top 20 players. “For Australia we have Ash Barty and Matt Ebden flying the flag while France will be represented by Lucas Pouille and 2014 champion Alize Cornet, and Cameron Norrie and Katie Boulter will team up for Great Britain in 2019. ITF President David Haggerty added: “We are delighted once again to see such a strong entry for the 2019 Mastercard Hopman Cup, the ITF’s mixed team competition, at the start of the new tennis season. “The ITF team competitions, which also include Davis Cup by BNP Paribas and Fed Cup by BNP Paribas, give players a special opportunity to represent their countries, one that they value long after their playing days are over. Hopman Cup also offers fans a unique chance to see some of the game’s biggest names team up to play mixed doubles, which remain some of the most popular matches of the week.